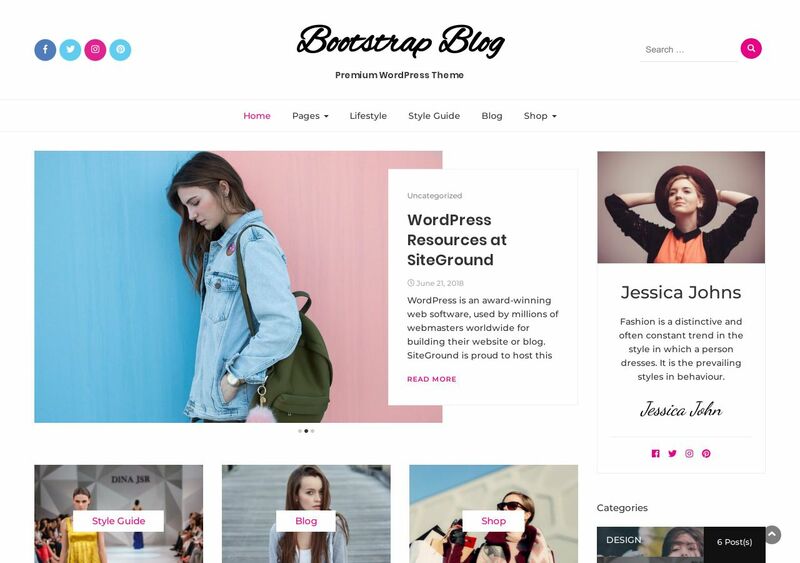 The Bootstrap Blog theme encompasses elements like a unified Header; social icons, navigation, logo, and a search bar combined into a single element. Likewise, the menu itself scrolls with the reader as they navigate up or down on any page. Content layout includes featured posts, highlighted sections, and a traditional grid-based (multiple columns) listing for posts. It’s everything you’d ever require to scale a beautiful WordPress blog experience.